The IPCC needs strong leadership and dedication of time and full attention by the chair in the immediate future, which under the current circumstances I am unable to provide. The 2007 Nobel Peace Prize Laureate is currently being investigated by Indian police for claims of sexual harassment made by a 29-year-old employee at the research firm The Energy and Resources Institute (TERI) in Delhi, where he is director-general. The employee alleged that Pachauri made repeated inappropriate advances towards her, both physically and through unsolicited emails, text messages, and WhatsApp messages. [He] is committed to provide all assistance and cooperation to the authorities in their ongoing investigations. 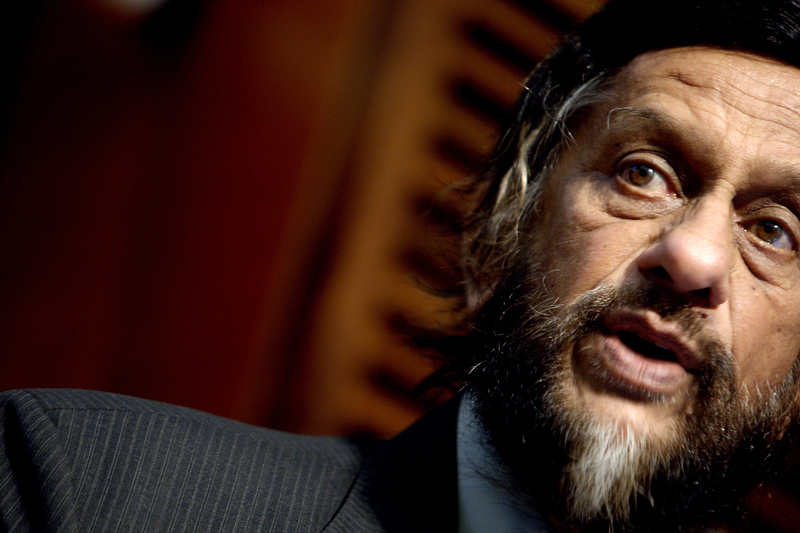 It is understandable that Dr. Pachauri has resigned from his post while he is facing allegations against him in India. There will no doubt be some climate change "sceptics" who seek to use Dr. Pachauri’s resignation as an opportunity to attack the IPCC, [but its most recent report] is the most comprehensive and authoritative assessment of the causes and potential consequences of climate change that we have ever had, and that remains true with or without Dr. Pachauri as chair. The IPCC confirmed in a statement on Tuesday that Vice-Chair Ismail El Gizouli will be designated acting IPCC Chair, ahead of its 41st session. Widely considered the most important evaluation of global warming yet, the IPCC's most recent climate change report, published in November, stated that climate change would cause "severe, widespread and irreversible impacts” unless carbon emissions are drastically cut. Lauded by Secretary-General Ban as "historic," the study came at a critical timing, just a year away from the pivotal UN climate change meeting in Paris in December aimed at a universally-binding consensus on climate change.